In 2012, a team of fifteen Dhol players made their way onto the sets of the soon releasing Deol family production Bollywood blockbuster, Yamla Pagla Deewana 2. Gripping their Dhol sticks with dedication, wearing their Dhols with pride and having the biggest smiles on their faces, all fifteen Eternal Taal Dhol players got ready to perform like they've never performed before. Having performed at many different Asian orientated functions, to performing at the world famous 'Glastonbury Festival' for three years in a row (2009 - 2011), and at the 'Graham Norton's Christmas Show' at the LG Arena in Birmingham in front of 14,000 people, the group has had experience in entertaining audiences of all types. But there was still one more platform Eternal Taal had to reach - Bollywood. When asked about the groups break through into Bollywood, Parv Kaur the founder/manager and lead drummer said, "To be honest, it was something that came out of the blue. Whilst performing for the 'Diwali on the Square festival' at Trafalgar Square, one of the films team members had noticed us and recommended us to the producer of the film. We soon got a call from the producer to have a meeting and discuss the project, and the rest as they say, is history." 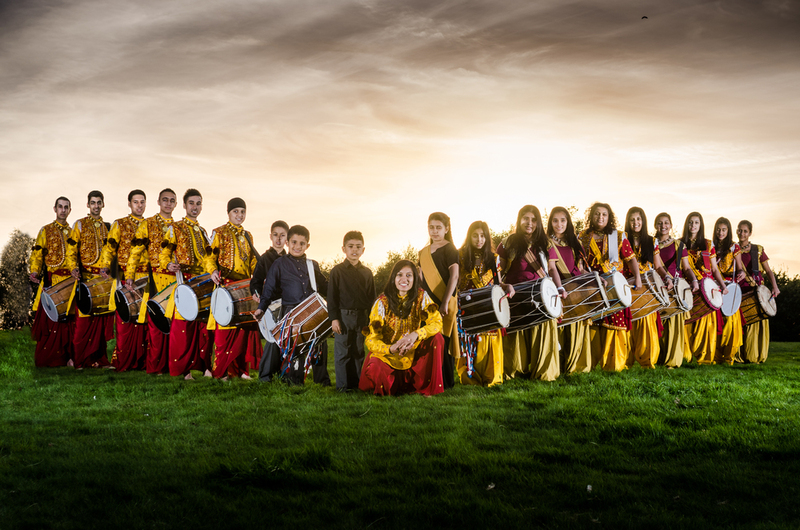 Eternal Taal being an entertainments team that began its journey in April 1999, specialising in FEMALE Dhol players. Fourteen years on, and the group today now also specialise in female Bhangra dancers, Sangeet singers, DJ's and Band baja. The team have also been nominated for ‘Young Entrepreneur’ by the Institute of Asian Businesses 2012 and ‘Best in Arts & Culture’ by the Asian Women in Achievement Awards and the British Indian Awards 2013. In 2010 they were awarded ‘Contribution to Bhangra Music in the UK’ by the House of Commons. As time goes on, with their continuous hard work, the group finds itself reaching bigger platforms and newer audiences all the time, Bollywood was then inevitably the next step. The song 'Suit Tera Laal Rang Da', which is predicted to be one of the top wedding songs of 2013, was filmed in Leicester, and took three days to shoot. And from the beginning till the end of each of the three days, Eternal Taal gave it their all doing what many entertainment teams can only dream of doing. A group that has excited crowds from the UK & abroad is happy to perform to audiences of sizes. Whether it by 50 or 20,000 Eternal Taal, will put on a performance to rock you! The Eternal Taal team also hold Bhangra / keep fit classes for females of all ages & mixed Dhol sessions weekly in Birmingham & are soon expanding out to other areas and are recruiting new people to the team. Parv Kaur says: "Our aim is to promote and perform Bhangra music to wider audiences, whether it is a small stage or a high profile one, Eternal Taal will ensure we bring our beats to every stage." Don't forget to catch the team in the Deol extravaganza Yamla Pagla Deewana 2 on the 7 June 2013!